Dr. Arthur L. Day is a fellowship-trained and board-certified neurosurgeon with specific expertise in cerebrovascular and skull base neurosurgery. He also specializes in the microsurgical treatment of brain tumors and in minimally invasive spinal surgery. Dr. Day was awarded his medical degree at Louisiana State University in New Orleans. He completed his internship training in Birmingham, Alabama, and subsequently completed his neurological surgery residency and fellowship in brain tumor immunology at the University of Florida College of Medicine in Gainesville. Before joining the Mischer Neuroscience Institute, Dr. Day practiced at the University of Florida for 25 years, ultimately rising to the positions of professor, co-chair and program director of the department of Neurosurgery. In 2002, he moved to Boston to assume a position as a professor of surgery at Harvard Medical School and program director and chair of the department of Neurological Surgery at Brigham and Women’s Hospital. He was also director of the Cerebrovascular Center and the Neurological Sports Injury Center at Brigham and Women’s Hospital. 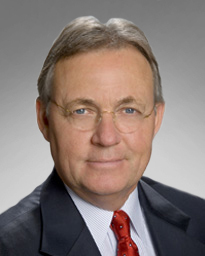 Dr. Day has held leadership positions in many medical professional societies, including serving as president of the Society of Neurological Surgeons and the Congress of Neurological Surgeons, as well as chair of the American Board of Neurological Surgery and the Joint Section of Cerebrovascular Surgery of the American Association of Neurological Surgeons and the Congress of Neurological Surgeons. He served on the Residency Review Committee for Neurosurgery and is now chair of the Committee for Advanced Subspecialty Training of the Society of Neurological Surgeons. He has been named multiple times to Best Doctors in America. Dr. Day has received numerous awards and honors, including the prestigious Harvey Cushing Medal, the highest honor awarded by the American Association of Neurological Surgeons, the Founders’ Laurel Award from the Congress of Neurological Surgeons and the Medal of Honor from the Neurosurgical Society of American for his “exceptional service, lifelong dedication and meritorious accomplishments in the field of neurosurgical practice and medical education.” He has published more than 170 journal articles and book chapters, co-edited two books about neurological sports injuries, and been a visiting professor at more than 50 training programs. Click the video below to view Dr. Art Day's presentation on the advanced treatment of pituitary gland tumors. A discussion of what pituitary tumors are, how they are diagnosed and when they need certain types of treatments, such as surgery. Presented by neurosurgeon Dr. Art Day, Mischer Neuroscience Institute Director of Clinical Education.